If you are the Oneplus 2 users then ready to install the OnePlus 2 OxygenOS 3.6.0 Update on your phone. The new update comes with June 2017 security patch and 4G VOLTE fix globally. This one is not a major update and comes with only two bug fixes, and still based on Android Marshmallow. In simple words, we can say that the new update is the security-based update for Oneplus 2. The OTA is already started and many users get this update on their phone. To check the OTS update go to the phone settings and tap on the System Updates. If you can’t find many OTA update then you can install OnePlus 2 OxygenOS 3.6.0 Update manually on your phone. 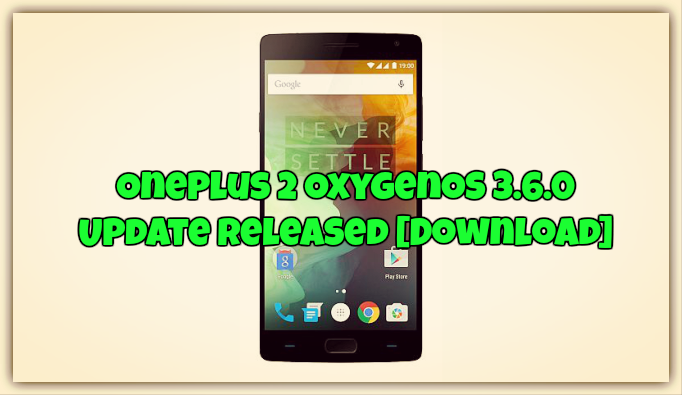 To apply this Oxygen OS 3.6.0 update on your Oneplus follow the below mention guide. This guide is only for the Oneplus 2 users and works on both rooted and non-rooted Oneplus 2 phone. To flash this official update on your phone all you need an Oxygen OS 3.6.0 zip file and flash the dame on your phone with TWRP recovery or by the ADB sideload method. If you want to update your OnePlus to the latest version then Download OxygenOS 3.6.0 for OnePlus 2 from below. 2.0.2 Method 2 – For Rooted User with TWRP recovery. 1. Make sure to take the full backup of your phone. 3. Enable USB debugging on Your phone. 1. Enable ‘USB debugging’ on Your Oneplus 2 Phone. 2. Now setup the ADB and fastboot drivers here on your windows desktop. Now you will see the ADB folder on your windows PC C Drive (C:/ADB). 3. Now copy the OxygenOS 3.6.0 zip file in the ADB folder. And Rename the ZIP file to update.zip. You need to flash this file on your phone with ADB commands. 4. Connect the Oneplus 2 to the PC with USB cable and open a command prompt or terminal on your PC. 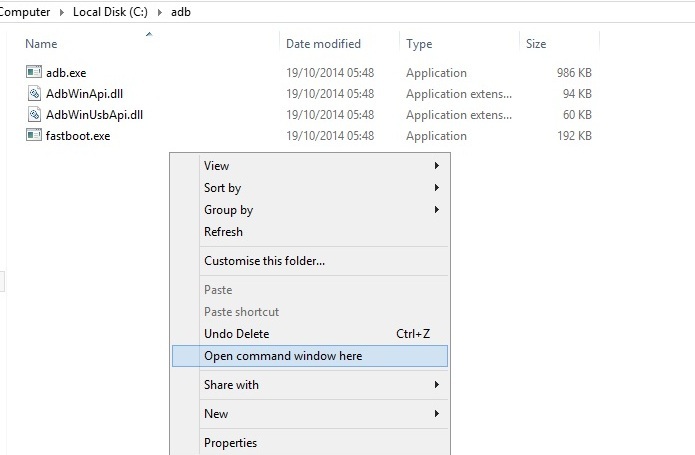 To do this open the ADB folder press shift + right click and click on open command here. 5. Reboot your OnePlus 2 device into stock recovery mode. 6. Now from the main screen of the recovery, tap on the first option that says “Install from ADB Sideload/USB”. 7. Flash the OxygenOS on OnePlus 2 by typing below command. 8. Now the update will start and this will take some time. Method 2 – For Rooted User with TWRP recovery. Make sure that you are running on the latest TWRP custom recovery. Check this guide how to install TWRP recovery on Oneplus 2. 1. Download the OxygenOS 3.6.0 Full ROM zip from above mention download link and save the zip file on your internal phone memory. 3. Once you are on the TWRP screen. Go to Wipe > Advanced Wipe and Select Cache and Dalvik cache. Swipe to Wipe. 4. Now go back on the home screen of TWRP and tap on the Install Option. Locate the ROM zip file & swipe to Install the ROM file. With these steps, you can install this marshmallow OXygenOS 3.6.0 update on your oneplus 2. This is the best and quickest way to flash OxygenOS updates on Oneplus 2 phone. Let us know if you have any questions by comment below.